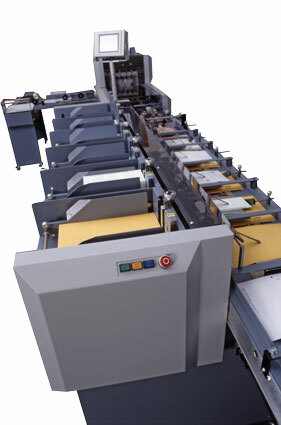 KAS Mailwrap polywrapper - Roberts Business Machines, Inc. 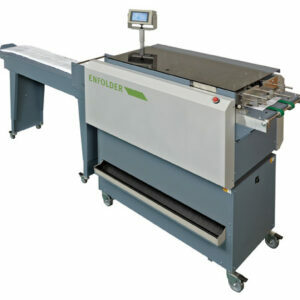 The KAS Mailwrap is an automated polywrapping machine that has a number of unique design features, offering flexibility, durability and ease of set-up combined with a small footprint. 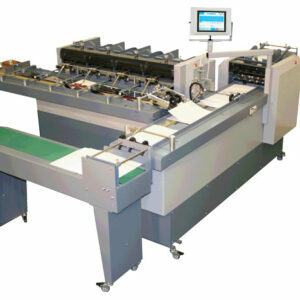 The KAS Mailwrap can wrap up to 22mm thickness at speeds of up to 6000 completed packs per hour. Operator control is through a touch screen. This controls insert station selection, speed and heat settings, error location and further run information. 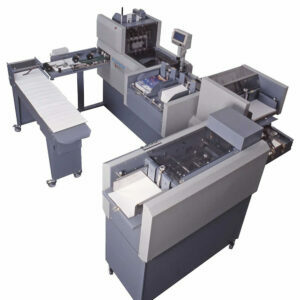 Heat settings are pre-set for a given throughput, but can be adjusted by the operator to suit the thickness of film. The insert stations can handle a wide variety of documentation including single sheets, card, reply envelopes, pre-folded items, CD’s and books. It is possible to pre-select the number of items fed from an insert station on each cycle and have the feed switch automatically from one station to another when it runs low. Each feeder can handle thicknesses from a single sheet to books up to 12mm thick. There is also a hand feed position for non-machinable items. Each insert station has a miss, double and jammed detector and there are further sensors throughout to check the path of the document through the machine. Any error automatically stops the Mailwrap and the location is displayed on the control screen. 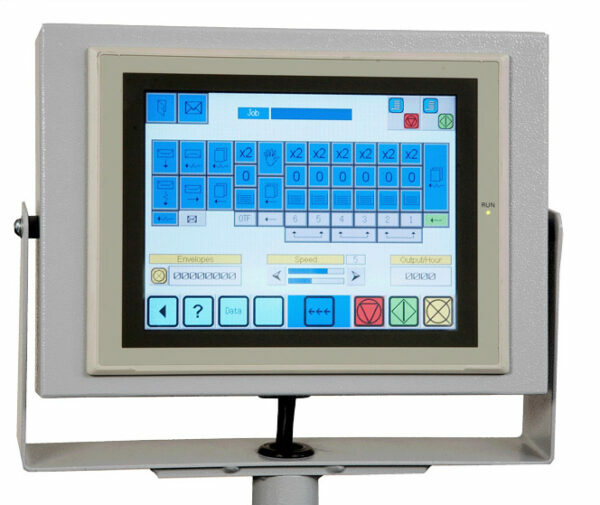 A choice of reading technology is available: OMR, 1D or 2D barcode or OCR can be used to match multiple documents fed from a single feeder or documents fed from different feeders. The Mailwrap polywrapping machine is a simple and effective polythene wrapping solution offering flexibility and performance for your document packaging requirements.